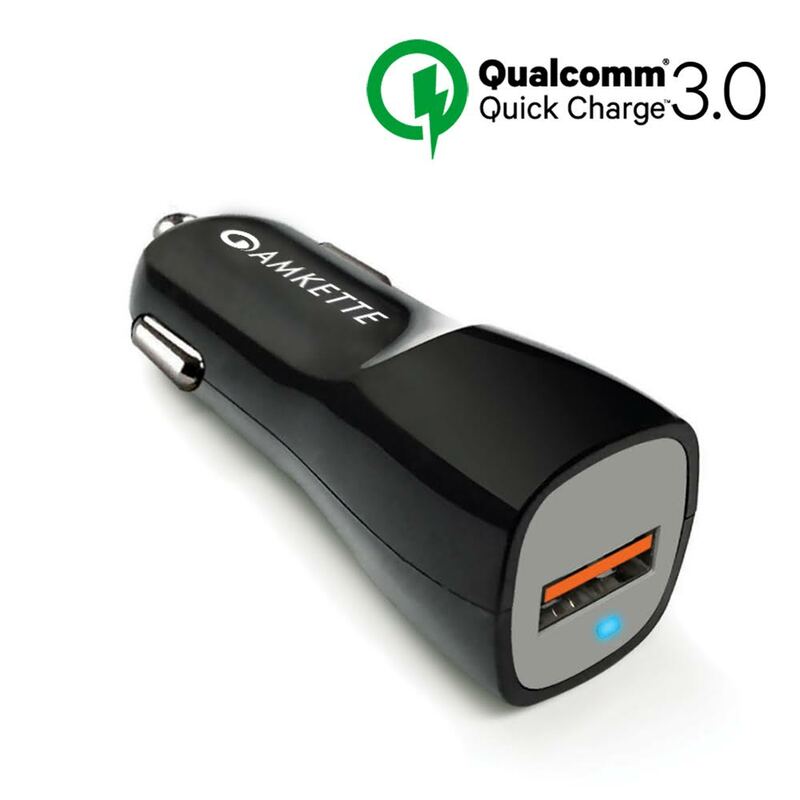 Quick Charge 3.0: The latest, fastest and most efficient USB charging technology in the world. 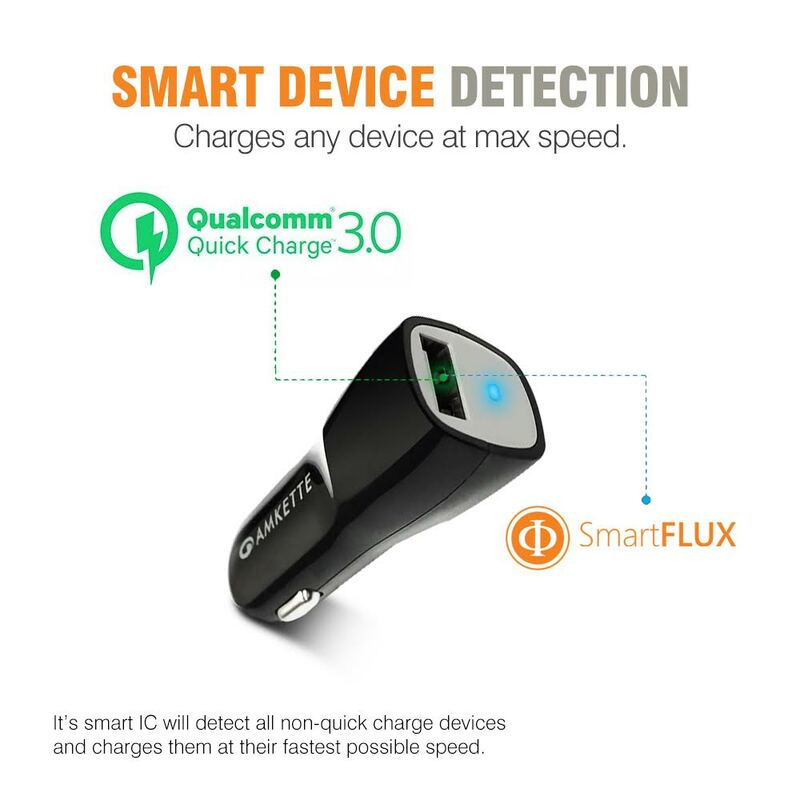 Up to 4X faster than Conventional chargers.SmartFlux Technology delivers the fastest possible charge to all non-Quick Charge devices. 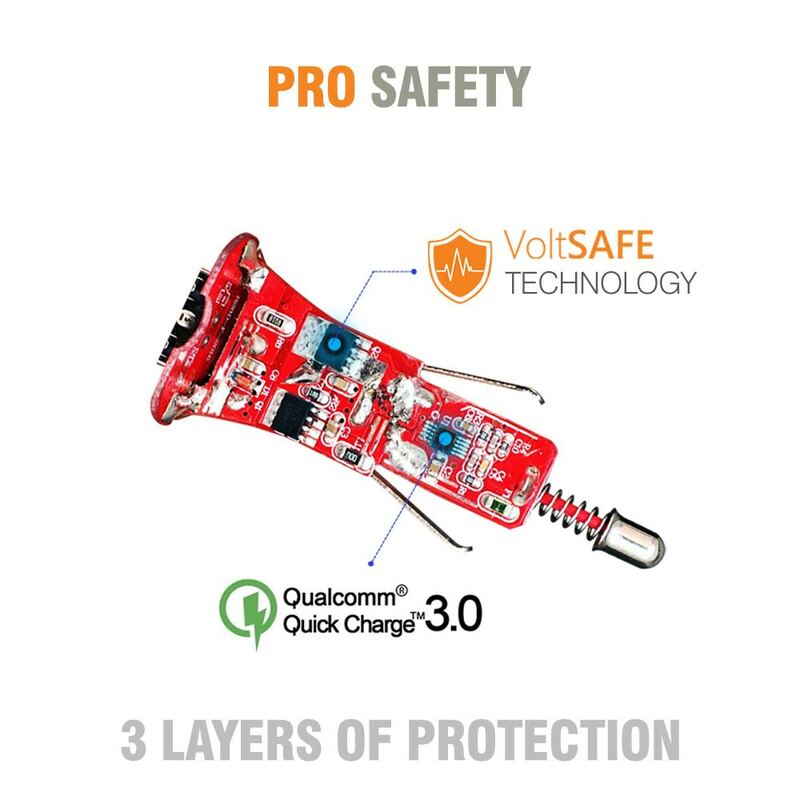 VOLTSAFE Technology :Provide 3 LAYERS OF SAFETY to your expensive smartphones & tablets and protect against OVERCHARGING, OVERHEATING and SHORT CIRCUITS. Premium Design: Superior glossy finish design with Blue LED that simply adds to the beauty of your car and easily fits in socket with limited space. Charge all USB powered devices from iPhones to Android phones, Tablets, GPS units, Bluetooth headphones & speakers, smartwatches & more. Whatever USB powered gear you’ve got, we’ve got you covered. 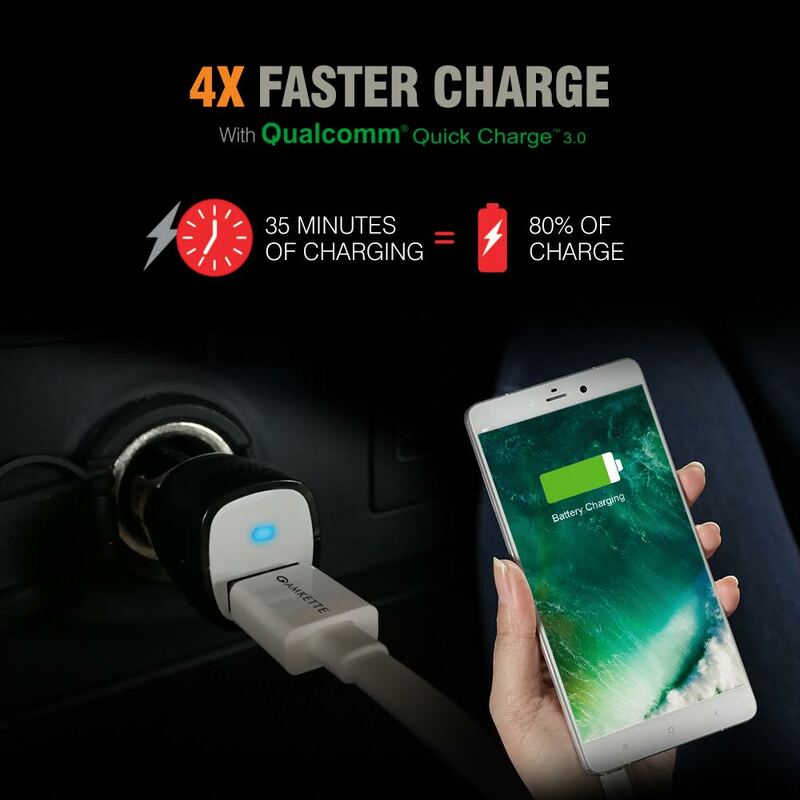 Amkette PowerPro Rapid car charger with Quick charge 3.0 is engineered to refuel devices up to four times faster than any conventional charging. Equipped with exclusive SmartFlux technology that can power your compatible products and other non-Qualcomm Quick Charge devices up to 5 V / 2.4 Amps. 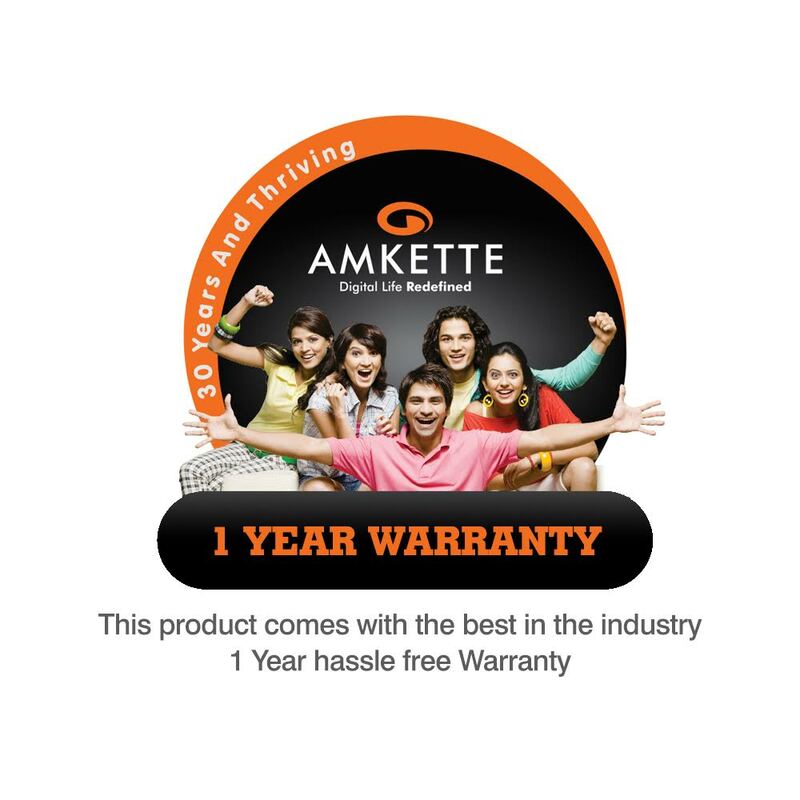 On the other hand Amkette’s Prorietary Voltsafe Technology ensures 3 Layers of Safety .Perfect for all your charging needs. Even better, the sleek, superior glossy finish design matches your car’s interior and its small power light lets you know your device is charging. Output "3.6-6V 3A/ 6-9V 2A/ 9-12V 1.5A 18W Max"
What is the output of the device? 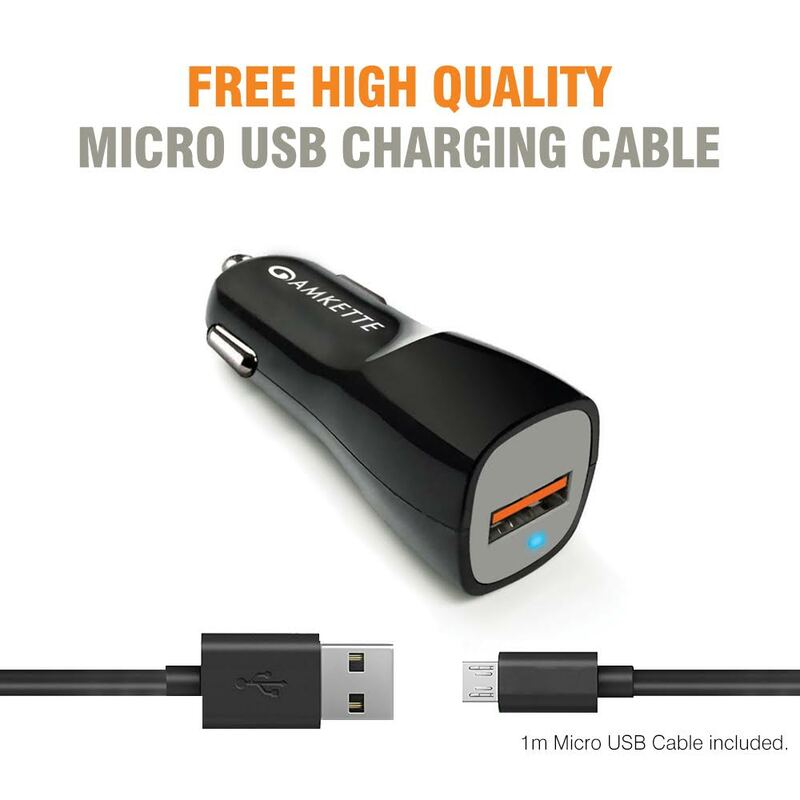 The Output of the charger is 18 Watts Max if the compatible QC 3.0 device is connected. What will happen if I connect my smartphone which is not QC3.0 compatible. No Problem at all. It will act like a Rapid Car Charger for your smartphone. Will it support QC2.0 charge? Yes, it is backward compatible and supports QC2.0 charging as well. Does it support One Plus dash charging or Oppo VOOC charge? No,Dash charge/ VOOC charging is a proprietary technology by OnePlus, this car charger supports Quick Charge 3.0. Do I need a special cable for QC3.0 charging? No, any normal Charging cable will be good. Though we recommend using only high quality cables for charging your smartphones. It supports normal charging up to 2.4A for iPhone, but not Quick charge. 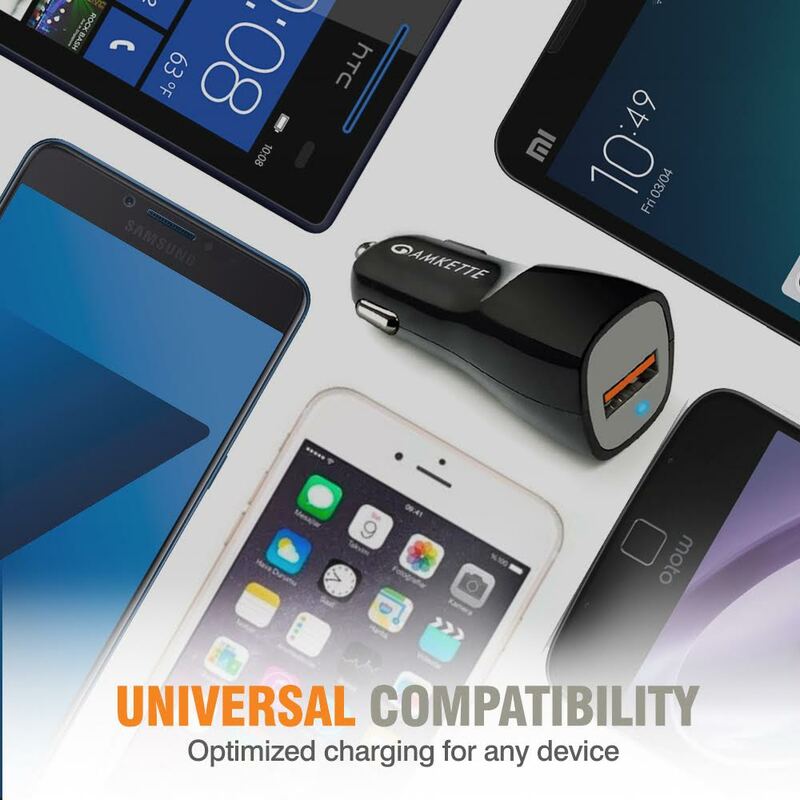 Does it support Samsung Adaptive fast charging/Motorola Turbo Charge? 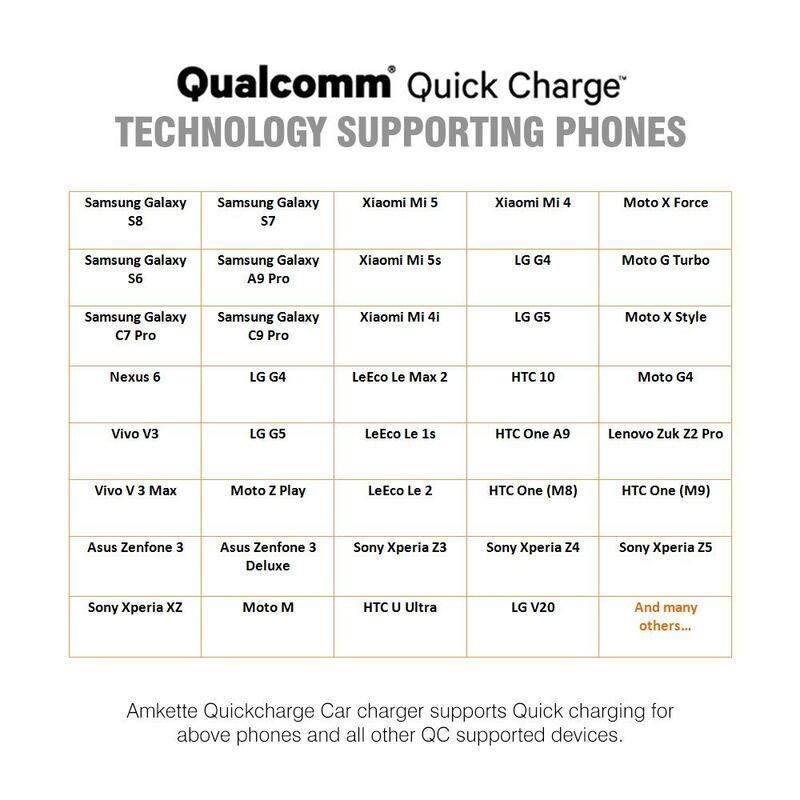 Yes, Adaptive charging and Turbo charge is just the different name being used by Samsung and Motorola for Quick charge.